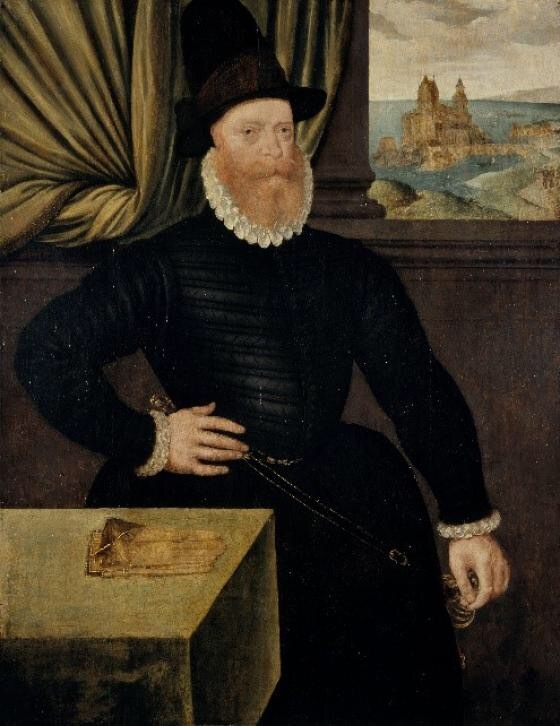 On 31st December 1580, James Douglas, 4th Earl of Morton was arrested for complicity in the murder of Lord Darnley. Morton was the fourth of the regents who had been appointed during the minority of James VI, after the deposition of his mother, Mary, Queen of Scots. Of the other three, two had been assassinated (Moray and Lennox) and one had died, probably of natural causes. Morton was a more successful regent than his predecessors, in that he finally overcame the Queen’s Party, and he also had the backing of the Queen of England. However, he had many enemies, and lost control of the government for a period in 1578, before regaining his position. By 1580, he was on exceptionally bad terms with James Stewart, Earl of Arran – cousin and close friend of 14 year old James VI. Arran accused him in Council of involvement in the murder of Darnley, the King’s father, and he was tried and executed.